Forget their outlandish concepts of late, this is single-handedly the most important piece of Subaru’s future: the Subaru Global Platform. Currently under development, this all-new vehicle architecture will underpin all of Subaru’s next-generation vehicles. The Subaru Global Platform is part of the company’s “Prominence 2020” vision which aims to enhance the brand. It will join the brand’s horizontally-opposed engines, Symmetrical All-Wheel Drive, and EyeSight to constitute the basic foundation of future vehicles. 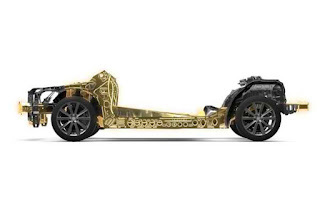 There are two key aspects to the Subaru Global Platform. First, it’s made to be emotionally engaging, delivering a dynamic feel that goes beyond high performance. This is done through straight line stability, suppressed noise and vibration, and comfort. Second, it should meet the world’s highest levels of safety in both active and passive aspects. In order to achieve improved straight line stability, this new platform features increased rigidity of 70 and 100 percent on the body and chassis respectively. The suspension placement is also considered to lower the center of gravity while improving the steering feel further. 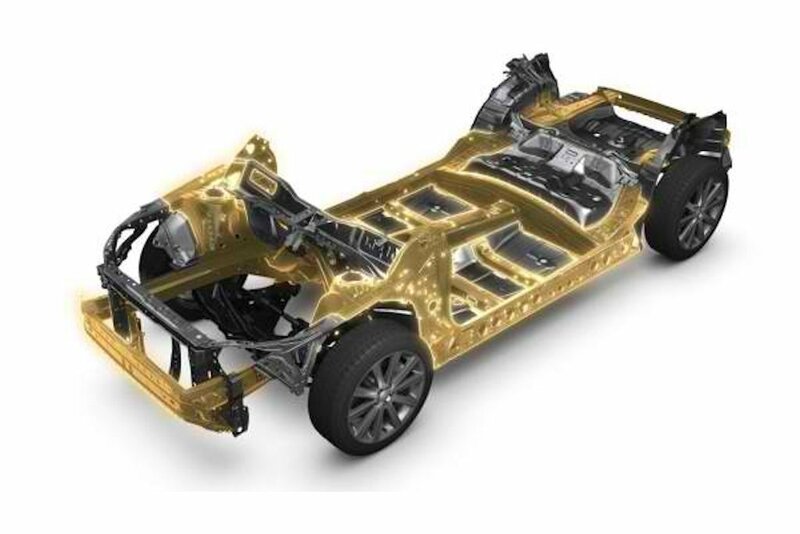 In the area of noise and vibration suppression, the Subaru Global Platform uses an optimized frame structure and stronger joints between parts to increase torsional rigidity by 70 percent distributing the resonance and distortion throughout the body and keeping it away from the steering wheel, floor, and seats. In terms of comfort, increased suspension mounting and improved shock absorption from the suspension leads to a smoother drive while reducing body roll by 50 percent compared to current models. In the safety aspect, the Subaru Global Platform features a center of gravity that’s 5 millimeters lower contributing to a more stable driving experience and outstanding danger avoidance capabilities. Meanwhile, the use of high-tensile steel including materials formed by the hot press method will improve crash impact absorption by 40 percent. Subaru says the platform will continue to offer the world’s highest levels of safety even by 2025. The biggest news though is that the Subaru Global Platform allows the brand to explore both hybrid and electrification technology in the future. Using a single architecture, the platform can be adopted to take on alternative propulsion systems enabling Subaru to develop an extensive array of models. Furthermore, it allows them to manufacture cars in the same production facility. The unified design concept also allows the two factories in Japan and USA to carry out production of multiple models on a single line. The Subaru Global Platform is expected to debut on the all-new Impreza which will launch in 2017. When will the new platform be launched with the Forester? It says it will be introduced first with the Impreza in 2017.